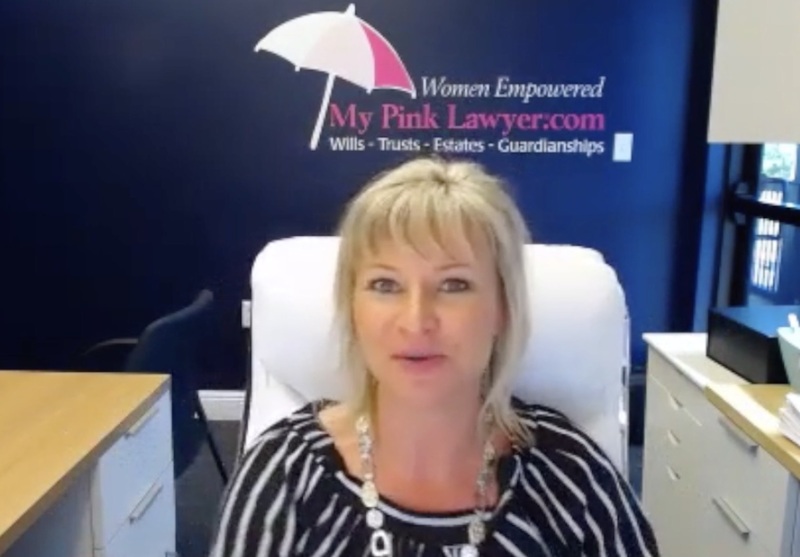 Janet explains why it is so important to get your medical directives and estate planning affairs in order with My Pink Lawyer® when you are married! Cathy knows first hand why it is so important to get your estate planning affairs in order with My Pink Lawyer®! 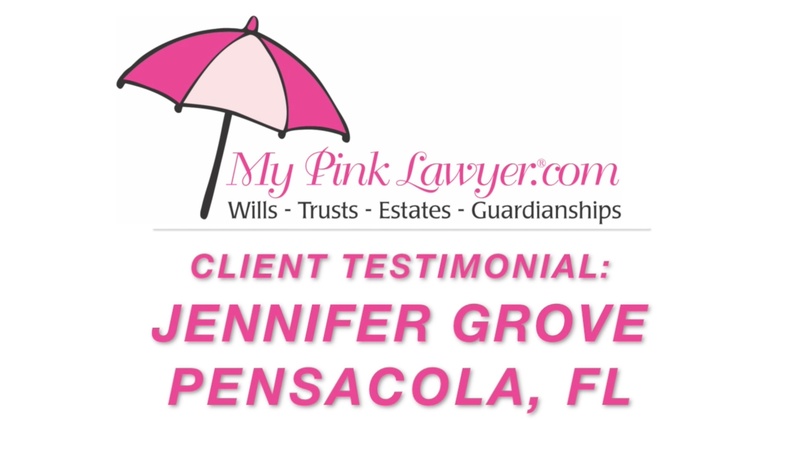 Jennifer explains why it is so important to get your estate planning affairs in order with My Pink Lawyer® when you have a blended family! Tasha explains why it is so important to get your estate planning affairs in order with My Pink Lawyer® after you have a child! 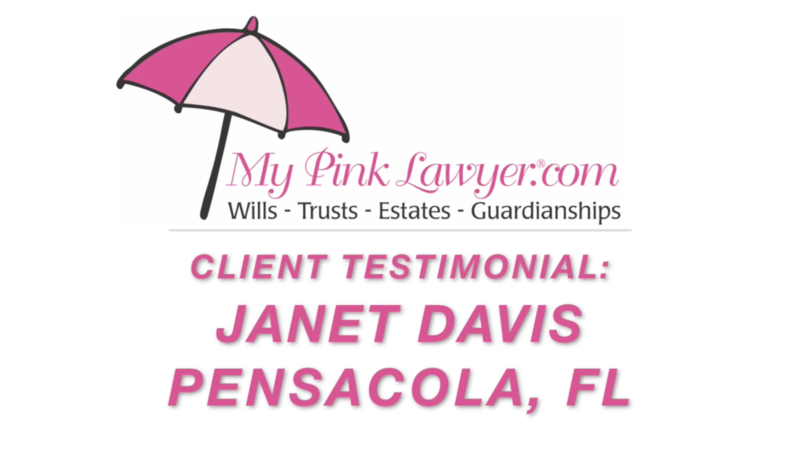 Mother and daughter, Virginia and Karen Abad, give their testimonial about creating a living trust to avoid probate at My Pink Lawyer®. Brenda Sampson gives her own testimonial about her experience to update her out-of state estate planning documents for Florida law at My Pink Lawyer. Returning client, Dianne Coleman, gives her own testimonial about her experience to update her estate plan at My Pink Lawyer. She is a happy long-time client! Phillip Warren from Taylor, Warren & Weidner refers his clients to attorney Kristen Marks for their Estate Planning, Guardianship, and Probate needs! Just wanted to say Thank You so much! We received your book, CD, pen and informative paperwork on Saturday. What a lovely packet by the way. Can't wait to get to watch and read it. Have read some of the paperwork and it sounds great.